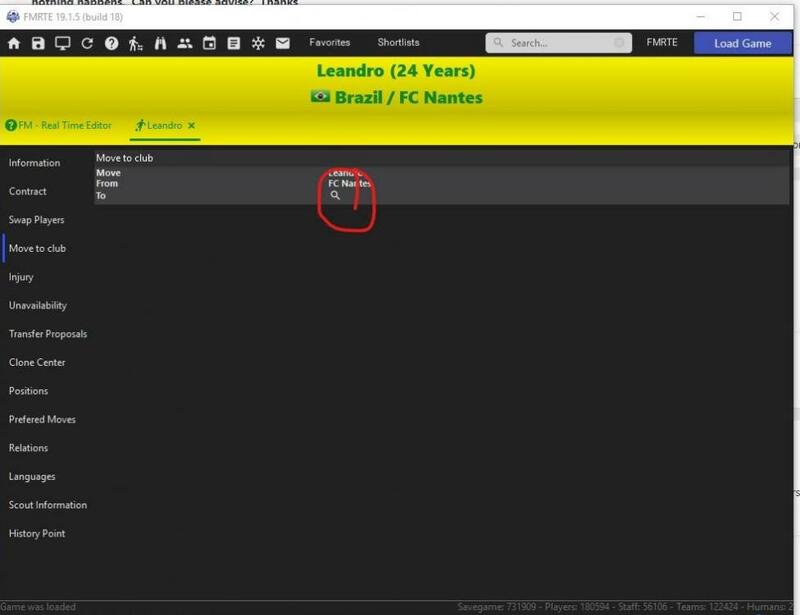 Probably you have the same problem I had when this search funktion appeared for the first time e few years ago. Did you try to click on the small magnifying glass (hey, I like the German word "Lupe" für this better ) button ? 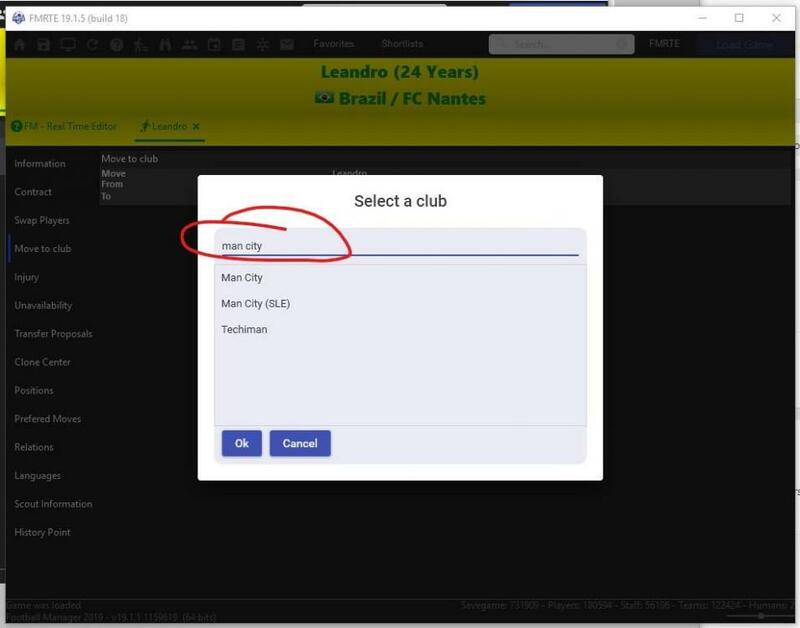 That should open the seach windows to select a club. Should be the same as if you look for players or do a mass edit for example. Yes it is by clicking the magnifying glass ( which I called the Q ) that brings up the dialogue box that I described above. 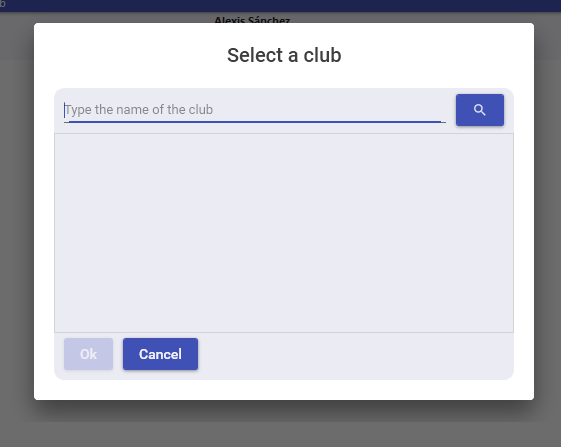 When this box appears, there is no search function and the only option is to type the name of the club in manually. Doing this then selecting OK and Save does not do anything.